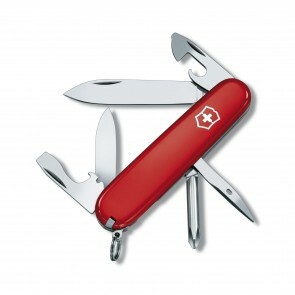 Discover all our range of Victorinox Swiss knives guaranteed 100% genuine at very competitive prices! 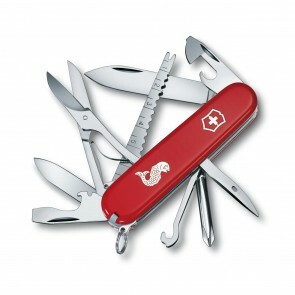 Often imitated but never equalled, the Victorinox Swiss Army knife is the real and unique knife of the Swiss army since 1893 and benefits from maximum resistance combined with unrivalled features until now. 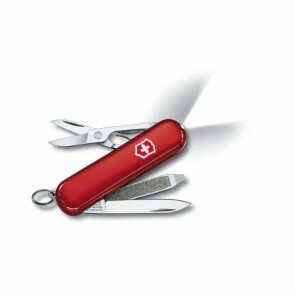 Its main assets: a mini size for maximum functions that earned it the nickname of pocket knife. It is therefore no coincidence that this multi tools folding knife, recognizable by its cross banner, is now a true benchmark for survival knives and pocket tools. Let’s have a quick review of this multi-purpose object already cult. 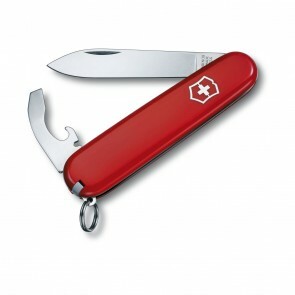 A little history: it was in 1894 that, following a call for tenders from the Swiss army, that Karl Elsener, a famous cutler developed the ancestor of the current Victorinox Swiss knife: a small folding knife dedicated to officers of the Swiss army. The watchword was that it had to be ultra-light and allow soldiers to use it to open cans and dismantle a prescription gun. The original model was equipped with a can opener, a knife blade, a flat screwdriver and grips. This military knife was long marketed by the firm Wenger, which was later bought by Victorinox. 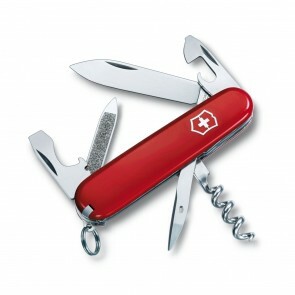 Victorinox army Knives are hence also known as Wenger knives. 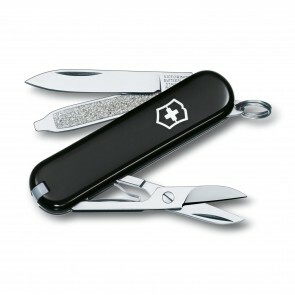 This small Victorinox classic multi-function knife or pocket knife allows you to use it as a blade, razor sharp paper knife, nail file, scissors, penknife, cruciform screwdriver, bottle opener, flashlight, corkscrew, dagger, toothpick, wire stripper, tweezers, scissors, pressurized ballpoint pen, pliers, wood saw, memory module.... And each tool has its own locking system for ultimate precision. Indeed, the functions and many tools of the "Swiss Army Knife" are enormous next to its small size, in addition to being lightweight! 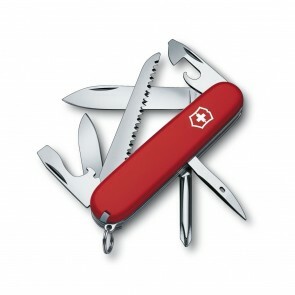 This small knife will not only be useful indoors but will also be the perfect multifunctional tool for outdoor use. The larger models with large blade can easily be used as hunting knives. This all-in-one cutlery item will make a name for itself in everyday life, in many adventures and sports, even in survival situations. It is hardly surprising that these folding knives are described as the ultimate survival knife! You will feel like a soldier with everything he needs to run to the rescue of a person in distress. 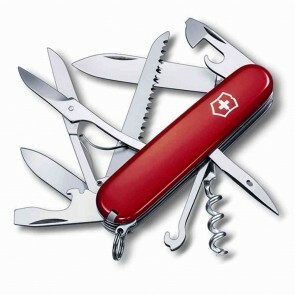 Victorinox Swiss Army Knives will please many people! 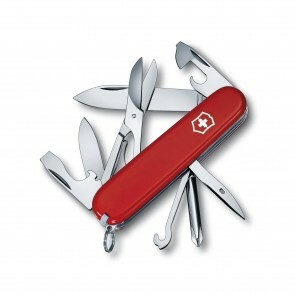 Who is the Victorinox swisstool for? 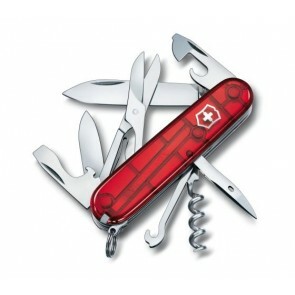 With new features added to each new model, these pocket knives target a wide range of users: the adventurer in love with outdoor spaces, the climber, the wire cutter, the trekker, the fishing enthusiast, the camper, the survivor, the scout... Whatever the age or generation, the Swiss Army knife is timeless and certainly knows no limits to its use, not to mention its lifespan. The addition of gadgets like the memory module, even the leds, makes it even more irresistible but above all incredibly practical! The quality of this real little gem in terms of survival equipment has not been neglected, far from it! Victorinox is the guarantee of a high quality stainless steel blade with an irreproachable cutting edge combined with an ergonomic handle. The quality of manufacture of the Victorinox multi-tool knife has been indisputable internationally for decades, indeed, it is the best pocket knife on the market. With this ultra ingenious folding knife in your pocket you will feel like an Indiana Jones! Are you thinking of offering the Victorinox Swiss Army Knife as a gift? This bi-material multifunctional everyday carry pocket tool is an ingenious gift idea as corporate gifts for example, the success of such a gift is guaranteed. Available in several styles, colours and materials, our small "Mc Gyver" knives will please everyone! Don't forget also our articles dedicated to sharpening these multi-function knives: sharpening rifle or sharpening stone. 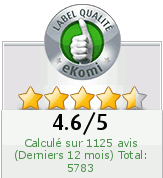 Find on AZ-boutique your online shop of kitchen equipment other items of the prestigious Victorinox brand, a guarantee of excellence in cutlery products: swiss made kitchen knives, chef's knife, paring knife, boning knife and fillet knives, knife sharpener, Japanese knives, steak knives among others.